Platonic / Spidey Meets The President! "Platonic" - Betty Brant has a good friend named Peter Parker, who is sadly unreliable. She knows he's planning a surprise birthday party for her, but hopes he doesn't let her down once more. "Spidey Meets the President!" - Peter Parker is sent to take pictures of President Obama's swearing in ceremony, only to find two Obama's trying to take the podium. 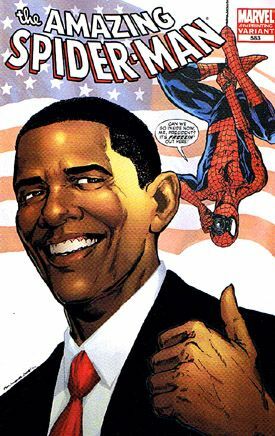 He intervenes as Spider-Man, using his experience to determine who the real Obama is.